Have you ever had a bad experience with paying for something and thought surely there's a simpler, more convenient and easier way? 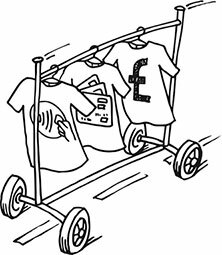 Then join us for;Off the rack, On the road; our upcoming Design Jam, hosted in partnership with Visa Europe Collab , where we will be exploring the future of payments across retail and transport. your ideas and take you through the process of design and innovation. Apart from it being an awesome weekend full of learning, innovation and creation, the winning team will be awarded £1000 and the opportunity to work with Visa Europe Collab to further develop the idea into a potential product or service!